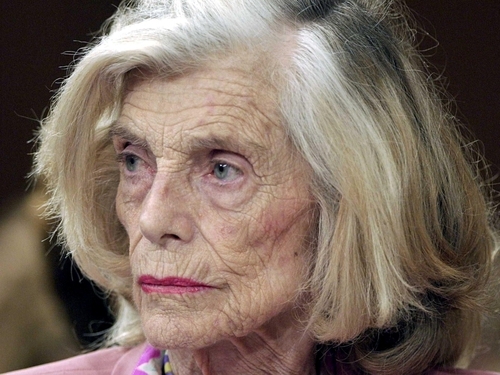 Eunice Kennedy Shriver, sister of former US president John F Kennedy and founder of the Special Olympics, has died aged 88. In a statement, her family said the 88-year-old died in hospital in Hyannis, the Massachusetts town on Cape Cod. 'Her work transformed the lives of hundreds of millions of people across the globe and they in turn are her living legacy,' the family said referring to her work with the disabled. Eunice Kennedy Shriver was the middle child of nine born to Joseph P Kennedy and his wife, Rose. Her siblings include John F Kennedy, who was elected president in 1960 and assassinated in 1963; Robert, a New York senator whose presidential bid ended when he was assassinated in 1968; and Senator Edward Kennedy. Edward Kennedy has been battling brain cancer, which was diagnosed in May 2008. Her children include Maria, a former television journalist who married California Governor Arnold Schwarzenegger. Mrs Shriver started the Special Olympics Games in 1968 to foster fitness and self-esteem for those with mental disabilities and advocated in Washington for her cause well into her 80s. The event has grown to include 190 nations. Her concern was attributed to her relationship with older sister Rosemary, who spent the majority of her life in a long-term care facility after a lobotomy. Taoiseach Brian Cowen said Mrs Kennedy Shriver always had a special place in her heart for Ireland.